In a historic brick building in the heart of Silicon Valley, you'll find the Mixbook HQ and family behind Mixbook. We're creators, innovators, designers, engineers, moms, dads, millennials, globe trotters, and more. Each of us has our own unique personalities, tastes, passions, and most importantly, our own stories to tell -- and we know you do too. Over the past year, we embarked on this journey to build a brand that inspired and empowered people to create beautiful things. We spoke with Mixbook customers about their tastes and preferences and sought inspiration from brands, creators and passionate people all around us. We developed visual storyboards to bring forth an aesthetic that felt genuine - exploring colors, images, fonts, textures and products that inspired us. We even discovered our magical spirit animal in the process (more about this below). This exploration, along with a lot of research and testing, helped to transform our brand identity into what you see today. With new light and bright product photography, a fresh and oh-so-cool HQ, beautiful photos from our team’s own adventures, and collaborations with DIY and design centric partners in the creative community - we bring you the new Mixbook. 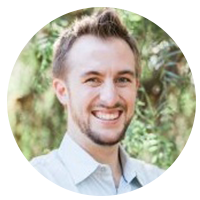 Our Co-founder and CEO Andrew Laffoon is an instrumental part in the everyday at Mixbook and was key in developing our new brand. Discovering what we considered beautiful design started literally on foot (and online). Our team would scour events, look to designers, illustrators, and even local craft stores for on-trend inspirations and incorporate them into our visual designs. We sought new and innovative products to add to our collection like real foil cards and invitations and modern metal prints. We assembled a team of design partners from all corners of the creative community including fabric designer Bonnie Christine, illustrators Hello!Lucky, crafter Amy Tangerine, globetrotter Kelly Purkey and many other talented creators. With their contributions to our line of photo books, photo cards, stationery and wall calendars, we’ve expanded our collection of beautiful designs, and you can expect to see more of these in the future. Meet Mixie, our Chief Magic Officer. Her role will be to spread inspiration and joy throughout our customers' Mixbook journey. We hope you enjoy the new Mixbook and feel empowered to continue sharing your stories through meaningful and beautiful photo products. We are so excited to share our story of transformation with you and hope you love it as much as we do. Thank you for choosing Mixbook. We're kicking off our new look with a fun campaign that celebrates creativity and inspiration. Each of you inspire us everyday, so we challenge you to create something that inspires you or celebrate someone who inspires you. Then, challenge three friends to do the same! Just use #CreateCelebrate in your IG post so we can see all the love! And want to celebrate with us in person? 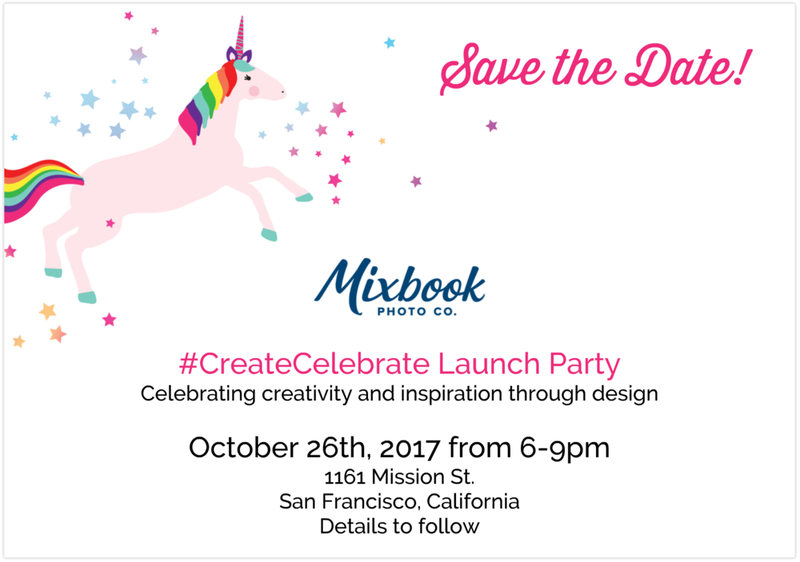 Join us for our #CreateCelebrate bash in San Francisco on Oct. 26th from 6-10pm (mark your calendars and stay tuned for event details). It'll be an evening filled with creativity, inspiration and a ton of IG-worthy photo opps - think shameless selfies, DIY photo styling, and balloons for days. Swing by to mingle, grab a signature cocktail, and get inspired by some of today’s popular creators & DIYers.